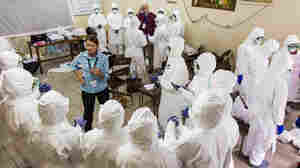 December 20, 2014  The World Health Organization has added nearly 400 more deaths from the current outbreak since its last report earlier this week. What Should You Do If A Fly Gets Into Your Anti-Ebola Goggles? November 29, 2014  Under ordinary circumstances, you'd swat that pesky fly. 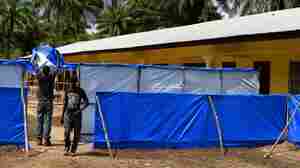 But the problems of daily life take on monumental scale in an Ebola treatment unit. Here's a guide to dilemmas and solutions. 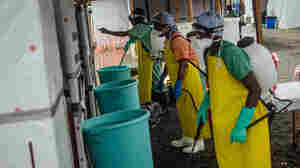 October 5, 2014  Health officials are looking to those who have recovered from Ebola to treat new cases. 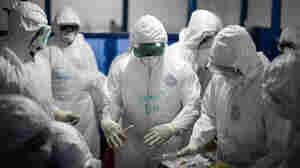 The World Health Organization hopes to find antibodies in the blood of people who have fought off the virus. 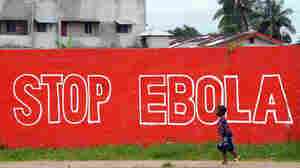 September 23, 2014  The World Health Organization warns of more than 20,000 cases by early November if help doesn't arrive quickly in West Africa. The CDC projects 1.4 million cases by late January. September 4, 2014  Over the next six months, about 20,000 people will get Ebola. Half will likely die. 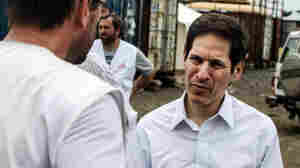 To stop the virus, the World Health Organization says it needs thousands of health care workers and $600 million. August 21, 2014  People are afraid to go to the doctor. Clinics have lost staff to the virus. Basic supplies aren't there. 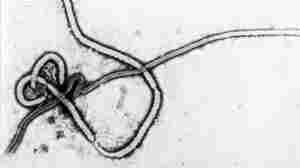 Ebola will have an impact on everything from malaria treatment to maternal health.